Please join us in welcoming Holden Diserens, our newest and youngest team member of Sea Biscuit and Salted Beef! As our social media coordinator, Holden will be in charge of moderating our newly-launched Facebook, Twitter, and YouTube channels. Feel free to show us your support by subscribing to our pages for more content. 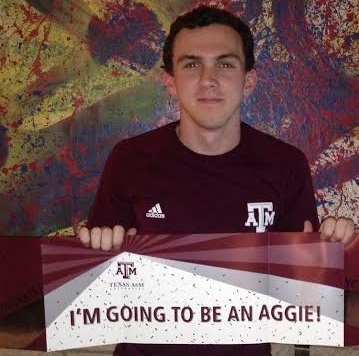 Holden Diserens, hailing from Temple, Texas (where he has lived his whole life), is an Undergraduate student at Texas A&M University studying Anthropology. This “bright eyed and bushy tailed” Freshman is just starting his adventure in adult life. He hopes to double Major in International Studies, and Minor in Arabic. His interests include a wide range of military history from antiquity to modern warfare, an assortment of strategy games, firearms and weapons, adventuring in the outdoors and exploring all kinds of new things and places, and learning all sorts of new things that could never possibly be productive knowledge, but are just interesting to know. This is his first experience with any sort of project in Archaeology, and he can’t wait to see what the rest of his life and career holds.